The Catalan trial could be “political” with “prepared and orchestrated” statements by Spanish police witnesses, international observers have warned. International Trial Watch, an NGO platform that coordinates some 30 international observers from 22 organisations, reported the prevalence of vocabulary such as “hate”, “insurrection” and “fear” among the two dozen Spanish police officers to have testified so far at the Supreme Court. The organisation underlined that although these were “subjective valuations that do not link the defendants to particular facts”, their repeated presence “could denote that these statements have been orchestrated and prepared” and “dilute the testimonies”. 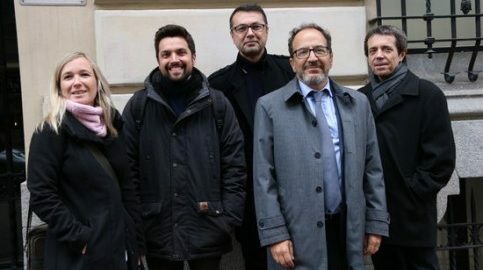 International Trial Watch endum Case (ITW) recently announced that it will present a report on the trial of Catalan independence leaders to the United Nations. Specifically, the report will go to the Universal Periodic Review (UPR), a mechanism of the Human Rights Council (HRC), which periodically examines the human rights performance of all 193 UN member states. Spain is up for review between January and February 2020.